I think a big part about being a theme park enthusiast is collecting. Theme parks are an endless supply of what we lovingly refer to as 'tat' - themed merchandise that help you remember the fab day out you've just had! I'm kind of a terrible collector, in that I'll decide that mugs, for instance, are a thing I'll collect, and then I buy 10, get bored and move onto the next thing. So I have small pockets of collections all around my flat, but one thing I love looking at time and time again is my Disney pin collection! There are literally thousands of these things, just go on eBay and do a quick search and you'll see what I mean. And with such a large variety to choose from it's really easy to get carried away. Whenever I visit a Disney park I'll grab handfuls of the things only to have to regain control of myself and put them all back before my suitcase is full of nothing but! So I guess I've trained myself to be extremely particular about the Disney pins I buy. Usually they're directly related to the parks themselves over characters - that means castles and rides are a big feature in my collection. So here's a few of my favourites. First up, my castles. I did used to have the Orlando castle too but sadly that has gone AWOL. My favourite pin of my entire collection is the classic Mickey hat pin from Disneyland Paris. The Paris castle is easily my favourite and I thought the way it was displayed here was just Disneyland personified. And it's pretty, so much so that I have a castle-only pin from Paris too! Believe it or not the bejewelled castle from the California Disneyland resort was the least vulgar castle centric offering. I remember buying it begrudgingly (because I had to buy ONE, obviously) but I have to admit it has grown on me! Next up is my Big Thunder Mountain pin, again from Disneyland Paris. For all its faults, DLP really does have the best offerings pin-wise, and it does annoy me that I can never find similar style pins in the other parks. Hell, Tokyo Disneyland didn't have ANY pins available much to my dismay. Anyway, I love this classic style of this pin, it reminds me of the original Disneyland poster art and new I had to have it for my collection! One exception to my 'no characters' rule is my Haunted Mansion pin. If I remember rightly this, like the blingy castle pin, was simply the best of a bad bunch. Usually I wouldn't go my a multi-layered pin either, but for some reason this one seems OK to me. When you slide the doombuggy the iconic scene from the ride starts moving and a hand opens the little coffin. Cute! In the same vein as my collection of Disney castles, I also keep an eye out for pins of the different Hollywood Tower Hotels! Tower of Terror is my favourite ride in the entire world and I'm always grateful for how many different pins there are related to this most excellent of attractions. Funnily, even though it is my favourite of the bunch, I don't own a full sized pin of the Orlando tower - definitely rectifying that this year! I've had a lot of these pins for years now and they are definitely starting to look that way! Hopefully on my next visit to a Disney park I'll be able to add to my collection and keep it looking fresh. A very selective collection but one I love nonetheless. Gutted I wasn't able to build on it during my visit to the Tokyo parks but oh well, I'm sure I'll find others worthy of purchase next time! 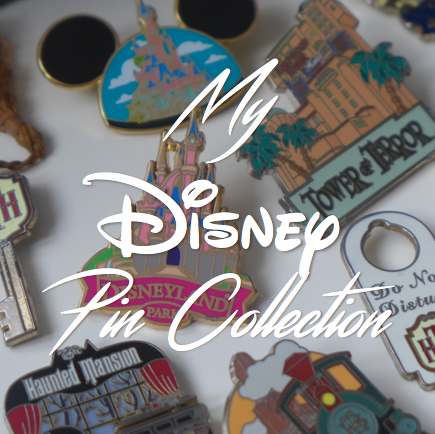 Do you collect any Disney pins? How big is your collection? 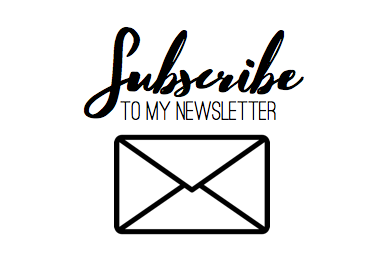 Let me know in the comments, I'd love to hear from you!